Saint Philomena and La Salette France. In October, 1871, shortly after the close of the Franco-German war, and the terrible scenes of the Commune, a young priest from Paris, full of the sad memories of the past and of forebodings for the future, was praying at Ars at the tomb of the CurÉ, and before the altar of Saint Philomena, for some help for his beloved country, and pondering over the means of turning aside from it the just anger of God. Seeing that there was nothing to be hoped for from men, and thinking that its only remedy lay in the all-powerful protection of the Blessed Virgin, it occurred to him that the most efficacious way to regaining for unfortunate France the favor of its august Queen would be to attract its people in a great, a national, pilgrimage to those mountains where she herself had come down to foretell and weep over its misfortunes. On his return to Paris he communicated to some friends the idea with which Saint Philomena had inspired him. He met with great hesitation and objection at first, for the difficulties that lay in the way seemed insuperable. "Who will listen to our voice?" he was asked; "Shall we not preach in a desert?" 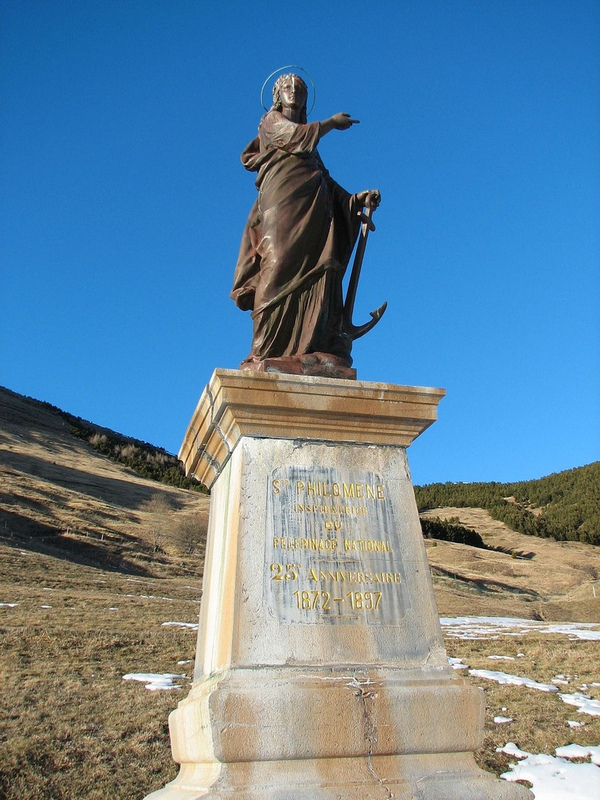 But in the parish of Saint Gervais novenas were begun by those devout to the Virgin of Mugnano to obtain from heaven the means to carry out this inspiration of hers; and on the eight of December, 1871, forty pious persons, each of whom had received some favor from her, met before the altar of the Saint, and resolved to carry it into effect, and to invite, not only the parish of Saint Gervais, but the whole of France, to join them. The Basilica at La Salette France. 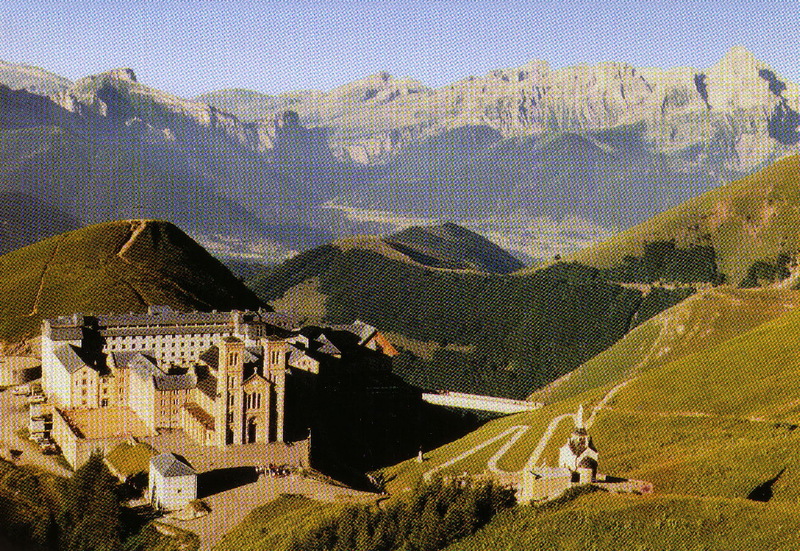 A circular was addressed to all the Catholic committees of France, which after pointing out the impiety and infidelity of their country and the terrible chastisements she had merited and undergone, invited all Catholics to make a grand, national, pilgrimage to Ars and La Salette, to ask of God the conversion of France, and the deliverance of the August Prisoner of the Vatican. It continued in these words: - "They place themselves under the protection of Saint Philomena, the Thaumaturga of the nineteenth century, because it is to her that the initiative of the project is due; for it was at the feet of her altars that it was conceived and the promise of it was made. All those who will enroll themselves at Paris with them in this new crusade, this pacific army for France and the Church, will start from Saint Gervais, (where a Mass will be said for them,) from that Place de l’Hotel de Ville where so many scenes of disorder have been enacted, so many revolutions begun, and will go to Villefanche. There they will be met by the pilgrims from Lyons and the neighboring towns, and all together, after kneeling at the tomb of the CurÉ of Ars, will direct their steps toward La Salette, receiving on their passage, like a human flood ever increasing, the throngs of the faithful who may wish to join them. 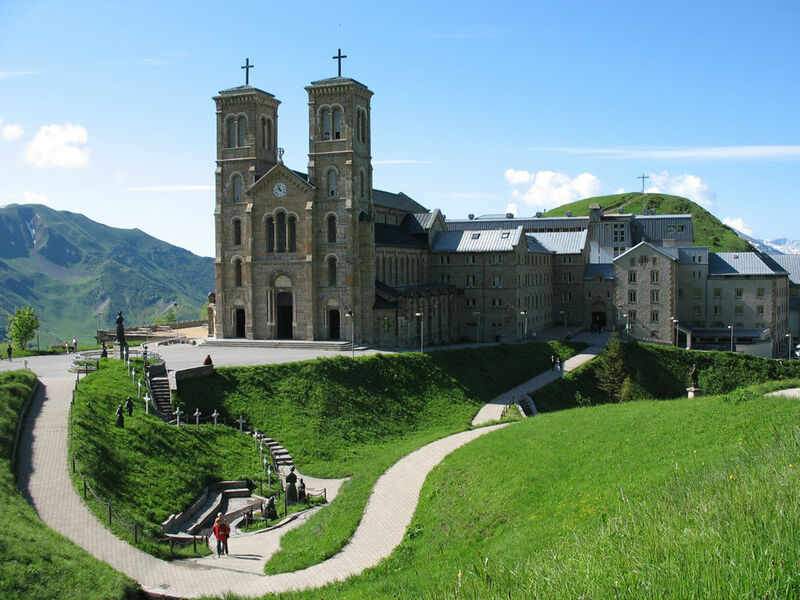 "This national pilgrimage to La Salette will take place during the Octave of the feast of the Assumption. It will thus follow and prolong the feast of the Virgin Protectress of France." As soon as this project became known it was highly applauded and encouraged. The Nuncio of the Holy Father at Paris was moved even to tears on reading the circular which announced it to the Christian world. And many Bishops urged their flocks to join in it in order to implore he Divine clemency on the nation, and to turn aside the punishments it had so justly merited by its crimes. At 6 o’clock on the morning of the 2nd of February, 1872, a large number of Parisians might have been seen hurrying eagerly across the Place de l’Hotel de Ville and strange to say, at the wintry season and early hour, many of them carried in their hands wreaths of bright colored flowers. Passing by the municipal buildings in ruins, they entered the church of Saint Gervais, and made tier way to the Lady Chapel, which was soon thronged to overflowing. A venerable priest was saying Mass, and this pious crowd was soon immersed in recollection and fervent prayer. At the Communion they rose and approached the altar, where four hundred, and amongst them one hundred men, received the Bread of Angels. After mass, the greater part of them proceeded towards another side chapel, that of Saint Philomena. In a moment the chapel was brilliantly illuminated, the altar was covered with flowers and the floor strewn with red and white wreaths, the symbols of virginity and martyrdom. "This worship, these thank-offerings to the Virgin Martyr," said the Sacristan in answer to one who questioned him, "are in gratitude for the special protection she had bestowed, not only upon the church in which you stand, but also upon those persons whom you see kneeling and praying here. 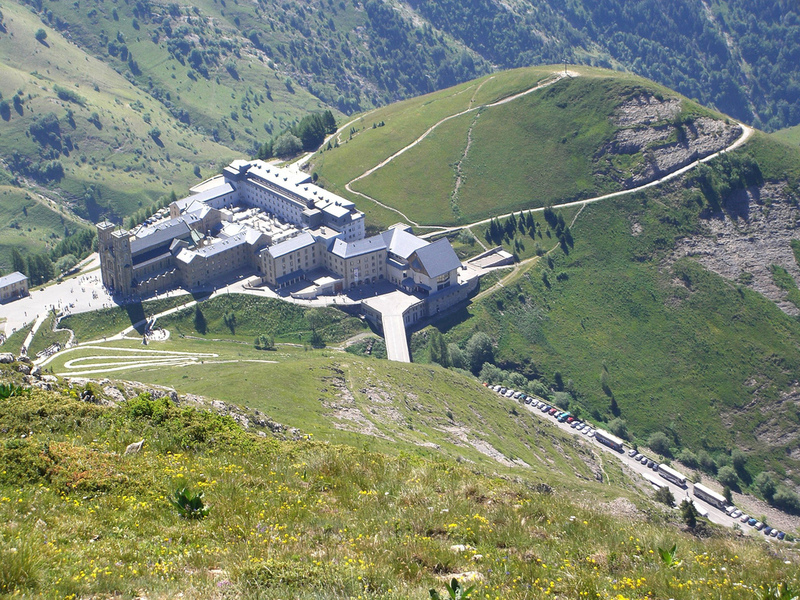 There is not one of them who has not to than her for some benefit, some consolation given to his soul, some solace or cure of moral or physical sufferints…"
It was at this moment that the congregation thus assembled there made a solemn vow to undertake a national pilgrimage to Ars and to La Salette, under the protection of Saint Philomena, the Thaumaturga of the nineteenth century, to obtain the conversion and salvation of France, and the deliverance of the Sovereign Pontiff. The priest who had first suggested the idea of a national pilgrimage was too young and too deeply immersed in parochial work to place himself at the head of such a movement; but with some difficulty he induced the Augustinian Fathers to undertake the management of it. Thus was founded the "ComitÉ gÉnÉral des PÉlÉrinages." 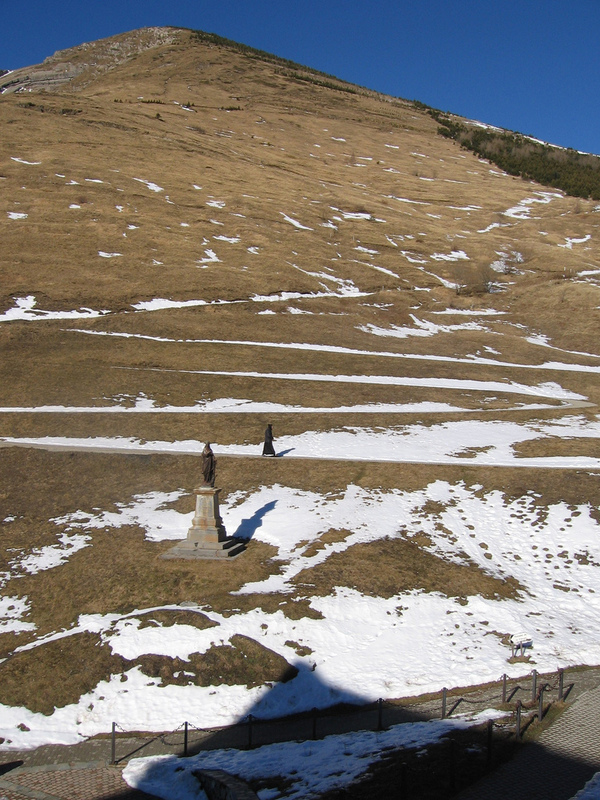 Their appeal to the nation was warmly taken up, and resulted in the great national pilgrimage to La Salette of 1872. 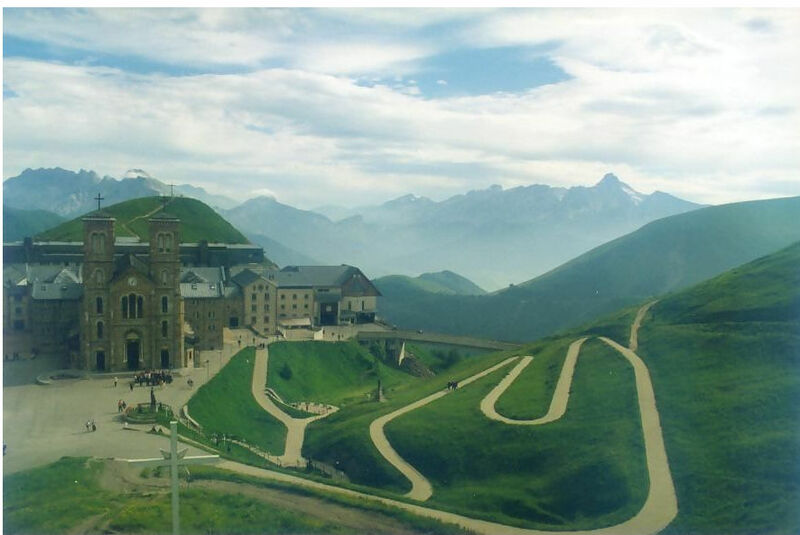 On the eighteenth of August in that year, the doors of Saint Gervais were once more thrown open to admit a magnificent cortège of pilgrims who had come from all parts of France to ask for a blessing upon their enterprise from Saint Philomena, from whose altar they were to set out. In the absence of Mgr. SÉgur, who was prevented at the last moment from addressing them, M. l’AbeeÉ Tilloy gave them an eloquent exhortation, pointing out to them the nobleness and beauty of the aim they had proposed to themselves. He concluded in these words: - "France can only be saved by the triumph of the Church. Our enterprise will not be barren, but eminently fertile. We set forth after having placed ourselves under the protection of the Saint who had inspired such great works, to whom this parish so justly owes a special worship, and whom we shall meet again tomorrow at Ars, in the sanctuary which will be our first stage. Let us have confidence; Saint Philomena will not abandon us; let us walk firmly, resolutely, and recollectedly; let us set an example to all; let us edify the provinces through which we shall pass; so that, as it is from Paris that have come forth evil doctrines, fatal to the religion and social order, so we may bring out of it a better influence, and propagate the salutary teachings of penance and conversion." 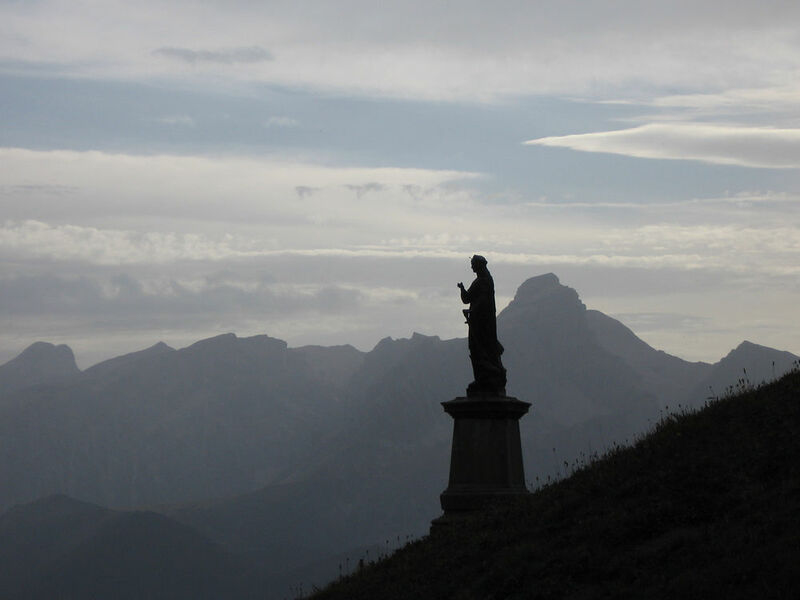 Strengthened by these words, the pilgrims bowed down for the last time before the altar of the Thaumaturga, and departed to the sacred mountain, to pray there for France. They were numbered by the thousands, and they carried with them a splendid banner of the Saint with the words: - "Sainte Philomène, Inspiratrice de PÉlÉrinages Nationaux," inscribed upon it, which was deposited at La Salette. The work once begun, it soon spread, and every year public pilgrimages have since been made, from various parts of France to the several sanctuaries of that country, not only to La Salette, but to Lourdes, to Chartres, Paray-le-Monial, Le Puy, and even to Rome itself, to pray of the salvation of France and the deliverance of the Sovereign Pontiff out of the hands of his enemies. The movement extended further than this; for in 1882 one thousand pilgrims, filling two ships, boldly set sail for Palesine, as a pilgrimage of penance. The promoter of the first public pilgrimage was this time the companion of their voyage; for a group of her pious clients carried with them a statue of her, to place it on that sacred land trodden by the feet of the Savior Himself. On the twenty-fifth of May, the anniversary of the discovery of the body of the Thaumaturga in the Catacombs, the church of the Ecce Homo at Jerusalem was filled to overflowing with pilgrims who had come to assist at the solemn erection of her statue on the spot designated for it by Our Lady’s convert, the venerable PÉre Alphonse Ratisbonne, then still living; and Saint Philomena was acclaimed many times over as the Apostle of the new Crusades. 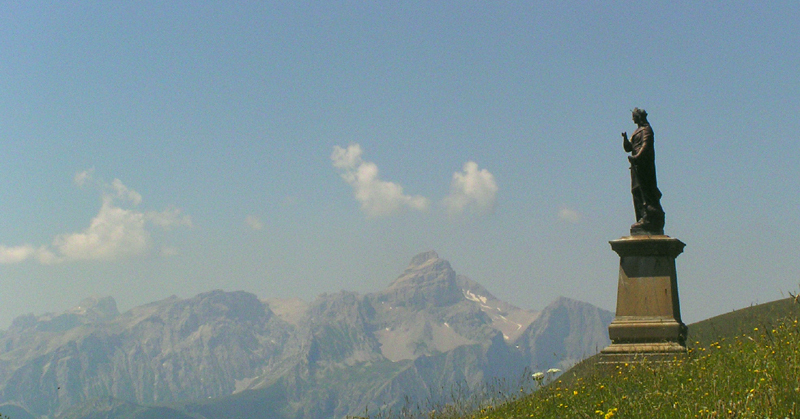 It is true, pilgrimages had been made, and many of them, before that one to La Salette in 1872, but they were small and of comparatively private or parochial character; but at the simple inspiration of the Virgin of Mugnano, a pilgrimage of a truly national character is organized, not without difficulty, like all the works of God, and is accomplished, after vanquishing the greatest obstacles. It must be confessed that the imposing and peaceful manifestations which we witness to-day owe their initiative, as well as their national character to that first-born of modern pilgrimages inspired by Saint Philomena and put in execution at the foot of her altar at Saint Gervais in Paris. 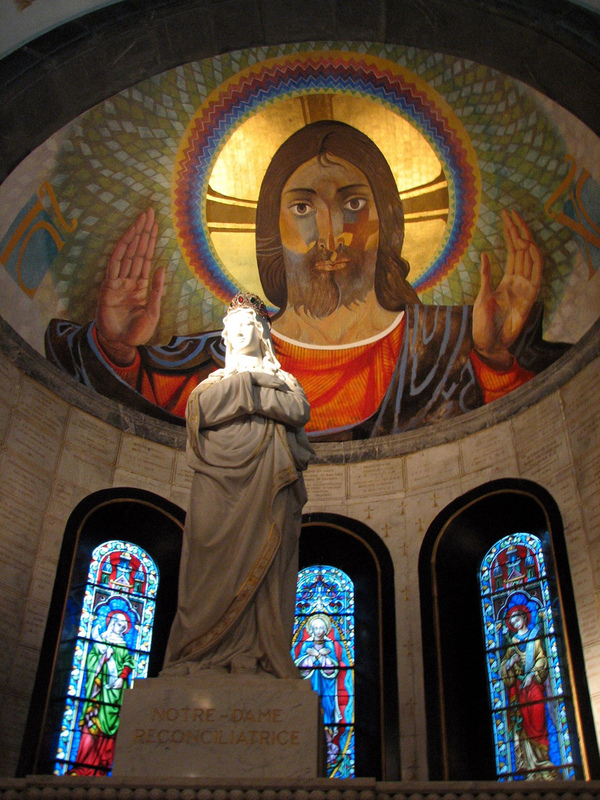 Inside The Basilica at La Salette France. As a memorial of the first national pilgrimage an altar was dedicated to Saint Philomena in the church of Notre Dame de La Salette, 3 rue de Dantzig, Paris-Vaugirard, the mother-house of the Congregation of Brothers of Saint Vincent of Paul, founded by M. Le PrÉvost. 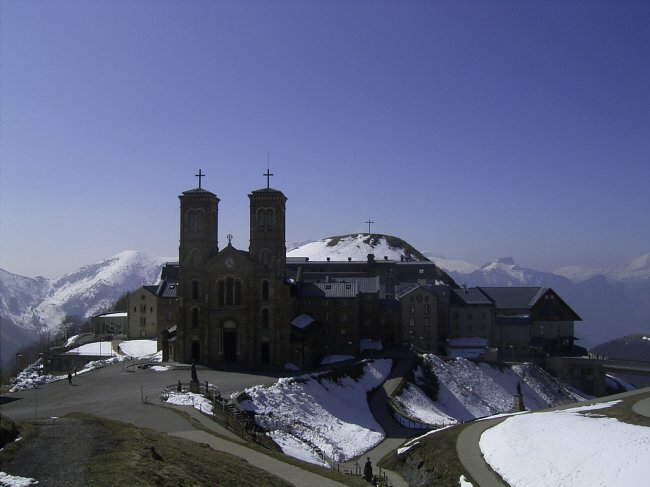 It was here also that has since been established the Œuvre de Sainte Philomène, an Association (an extension of the one at Saint Gervais), whose primary object is to unite in prayer to obtain through the intercession of this Saint, the return to God of the working classes, and the Christian education of youth. It now numbers many thousand members in all parts of the globe. It was canonically erected February 10, 1884, by the Cardinal Archbishop of Paris, and blessed, indulgenced, and extended to the Universal Church, by Leo XIII, on the twelfth of May in the same year; and was also spontaneously raised by him to the rank of Arch-Confraternity (Archconfraternity) on the twenty-fourth of September, 1889. 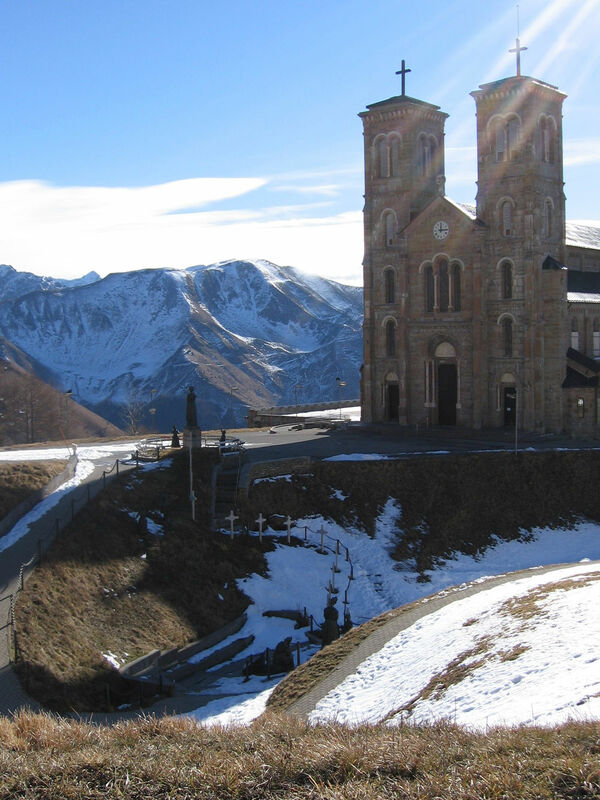 The Messager de Ste Philomène et du VÉnÉrable CurÉ d’Ars is published here every month and contains an interesting record of the miracles constantly worked by the Virgin Thaumaturga, and also some accounts of the pilgrimages to Ars and the progress of the Canonization of its Ven. CurÉ, as well as reports of the various charitable works carried on in France for the salvation of the working classes.